UPDATE — With the redesign of this site, I’ve moved over to Disqus for comments, so you’ll no longer be able to use these special smilies in comments. But, they can still be used in guest posts and the forum. I’ve just added some new Halloween emoticons courtesy of Icons-Land, who was generous and nice enough to donate a copy of them to Halloween Love. I honestly searched until I had a headache and I couldn’t find any better quality Halloween emoticons anywhere. Let me know if you think they could be set up better. 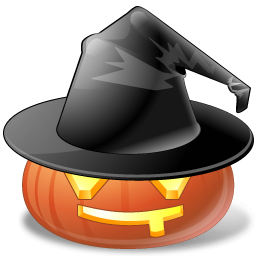 Download your own free Halloween emoticon pack here. And if you want to get the full set of all sizes and formats, it’s only $10 for the premium pack here.